For KLM Royal Dutch Airlines, the introduction of the Boeing 787-9 marks the dawn of a new age for both customers and crew. With this aircraft, KLM invests more than ever in its customers and future. KLM has chosen this new aircraft type to ensure its passengers an unforgettable and comfortable journey. Among the most important features of the Boeing 787-9 are the new World Business Class (WBC) seats, which recline completely flat and have direct access to the aisle; the Economy Class seats, which recline 40% further; a state-of-the-art Inflight Entertainment system; and Wi-Fi for all passengers who want to be online during their flight. Finally, the interiors in WBC, Economy Comfort and Economy Class create a highly hospitable setting onboard. With the arrival of this new aircraft type in October 2015, KLM is adding a quieter and more fuel-efficient aircraft to its fleet. The Boeing 787-9 is equipped with highly fuel-efficient engines, which will reduce CO2 emissions by at least 20%. The aircraft is part of KLM’s programme of fleet investment, which began with the introduction of the new World Business Class in the Boeing 747. This was followed by entirely new World Business Class and Economy Class interiors in the Boeing 777-200 and the phased introduction of new Boeing 777-300s. From December 2015, KLM will continue its fleet renewal with the deployment of the Embraer 175 and 190. 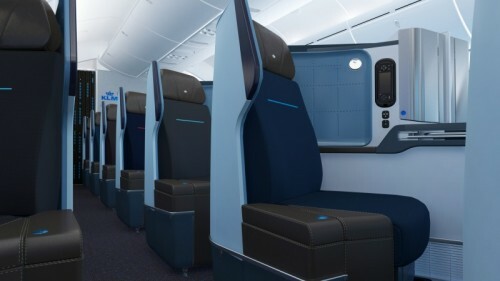 The design of the interior of the aircraft creates a typically KLM mood, layout and character onboard the Boeing 787-9. The point of departure for the cabin interior was to maximise comfort and privacy for passengers, while maintaining KLM’s brand values. KLM’s Boeing 787-9 is fitted with onboard Wi-Fi. 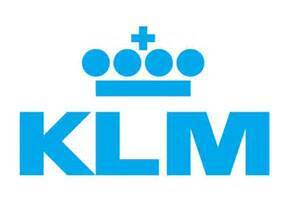 This marks the launch of KLM Wi-Fi, which was tested in earlier trials. It will now be possible to use the internet, email and other online services onboard using laptops, tablets and mobile phones. Larger windows, a higher cabin pressure and special LED-lighting further enhance the unique flight experience. This is all aimed at ensuring passengers arrive fitter and more rested at their destinations. KLM has chosen the newest full-flat World Business Class seat for its Boeing 787-9s. The position of the new seats in the cabin and various design decisions ensure passengers can enjoy as much privacy as possible during the flight. A very special, new feature is that every World Business Class seat in the Boeing 787-9 has direct access to the aisle. Warmer colours – with different shades for every seat – and a large storage space ensure ultimate comfort and more personal room for passengers. Large, soft pillows and luxurious new blankets give the new World Business Class a warm and welcoming mood. Each seat is fitted with a 16” screen. There is also the option of a dual-screen experience, which allows passengers to game or chat using the handset while watching a film. The seats in Economy Class offer passengers extra comfort. The back of the seat can recline 40% further and all passengers have access to a power socket where they can recharge their mobile equipment. The Inflight Entertainment system has been renewed and extended with a larger, 11” screen, intuitive HD-quality touchscreens, interactive 3D maps, and the option to communicate via Seat Chat with fellow passengers who are not seated nearby. The Inflight Entertainment system provides access to more than 150 films and 200 TV programmes in 12 languages, including a large number of local films.